The National Apprenticeship scheme is gaining popularity across the country. School leavers, who are still undecided on what career paths to take, this scheme is an opportunity waiting for you. The Scheme provides 20 trades and 6 technician level. Joining the scheme, you are able to earn while you learn, this means you receive a pay cheque from day one, and receive skills training on the job from the experts themselves. You will also gain a nationally recognised credential upon the completion of your program from Fiji National University. As an apprentice, you would be employed by your sponsor employer till the completion of the program. Too often we hear that businesses cannot find workers with the right skills to fill vacant positions. Being realistic, today’s labour market is tight and a program like the apprenticeship scheme, where you would have on the job training, is ideal. To all the prospective applicants, it is important to note that 90 percent of the apprentices stay in employment after finishing their programmes, the vast majority remain with the same employer. A fifth are able to secure scholarships and go on to further their education whilst still being employed. This only confirms that the apprenticeship scheme is a route into a professional career. The National Apprenticeship Scheme was introduced in 1963 under the Ministry of Labour and known as the Fiji Apprenticeship Council. Its role is regulated and administered by the National Training and Productivity Centre through the support of the industries to address the skills required and to produce competent and certified work force for the organisations. The NTPC manages the Apprenticeship Department which administers 22 Trade Certificate programmes and seven Technician levels. The Apprenticeship programme offers a systematic on- job practical learning and off-job study. For employers, the registered model provides the opportunity to create customised training programmes that fit their business and growth needs, while lowering recruitment costs and employee turnover. 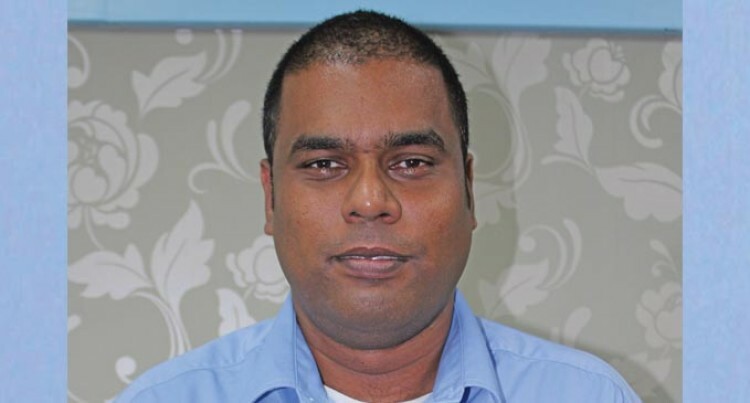 Employer and former apprentice, Aquaheat South Pacific Limited’s general manager Anusheel Chandra like many other apprenticeship employers around Fiji, have commended the scheme. Aquaheat South Pacific Limited one of the country’s leading air conditioning/mechanical contractors. Aquqheat South Pacific Limited had been in talks with FNU /NTPC regarding the apprenticeship scheme. And by late December 2018, the organisation signed on 12 apprentices for a four year contract. “We signed a contract with NTPC purely on the basis that we want qualified and skilled people coming out of this apprenticeship programme,” Mr Chandra said. “At the end of this training, we want to ensure that the skills level has to be high enough and that it matches the delivery. Let me introduce you to one of our current apprentices Vasiti Qolikoro, who did not see herself as a tradesperson after she completed her secondary education at Rishikul Sanatan College. But today the 26-year-old Ra native is part of the National Apprenticeship Scheme (NAS) undertaking Certificate IV in Electrical Engineering in the Trade of Fitter Mechanic. Vasiti began her programme in 2017 as a Fitter Mechanic at the FMF Foods Factory out in Walu Bay, Suva. “I believe more girls should be encouraged to take up a trade field. I’ve always had a fascination for how things worked,” she says. “I like getting my hands dirty and doing practical stuff and, although I had no experience of engineering before I joined. “Coming through the apprenticeship scheme, we are taught new skills and techniques to improve our areas of trade. “I am the only woman in my trade one the factory floors, but I’m just seen as part of the team. So how does Apprenticeship Scheme work? The Apprenticeship Scheme is a three – four year programme depending on the trade you choose. As long as you are 18 years and above with a pass in form six, have a passion to work and learn and are willing to be part of a diverse team, you can become an apprentice. When companies advertise for apprentice intake, you could directly apply to the company or talk to the National Apprenticeship Training Department and they will assist you through the process. Doing an apprenticeship can completely transform your job prospects, allowing you to gain both transferable skills and an industry qualification all at the same time. You can start earning from day one of your apprenticeship, as they combine paid work with the skills training, whereas if you wanted to earn whilst doing a degree, you’d have to work in a part-time role alongside your studies. Moreover, with an apprenticeship you won’t have any of the loans associated with university education so you’ll be able to start your adult life debt-free! You get to join the workforce straight away, rather than waiting a minimum of three years to finish your degree, which means that you can start to work your way up the ladder much earlier! Experience counts for a lot in today’s workplace; with an apprenticeship you are gaining valuable first-hand experience every day. It will help you to pack out your CV and get higher up in the business world much faster as you’ll have a huge advantage over other applicants. You’ll also make a lot of valuable contacts as you are working in the industry on a daily basis, which will undoubtedly help you find and secure new roles in the future.